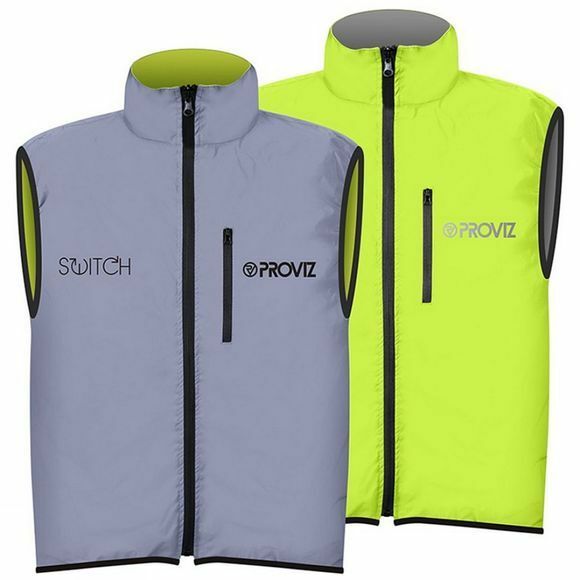 The Proviz Switch Gilet is made from a dual-layer out shell that can be worn either way to give you two options, one for the day and one for night. By day, the fluorescent yellow material enables customers to stand out and be clearly seen. By night the reflective material lights up when vehicle headlights are shined upon it enabling the user to be seen more clearly on the roads at night, therefore enabling drivers to adapt accordingly to your position on the road. Fitted shoulders and elastic fit waist for heat retention.